Voice of SAP advocacy efforts have helped drive several transformative outcomes in last 5 years in India. India has changed a lot in last 5 years under the current Govt. of India, under the compassionate leadership of H’ble PM with much more awareness, new law, rules, policy and initiatives to Empower its 70 MN Persons with Disabilities. It has become a role model for many developing countries who can adopt these initiatives to Empower their Specially Abled People. 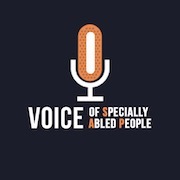 Voice of SAP will like to share the data with 7,500+ global registered volunteers and others who are committed to mainstream 70 MN people in India, considered as disabled/PwD/SAP. Voice of SAP will like to inspire everyone with this data so that we all can see the unprecedented momentum, which started in 2014, continues to transform many lives. India is going for general elections so it is very important to know and then reach out to all, inspire everyone with this “FIRST TIME EVER” data points so it helps the cause of Empowering SAP. 7. Disability Rights Bill – RPD ACT 2016 approved in 1 month after PMO approval to Cabinet, Rajya Sabha, Lok Sabha, President approval and published in Gazette- Nov 28 to Dec 28 2016!! 12. 500 Railway stations, new trains etc. per accessibility standards with lift, ramp etc. List is long…purpose is to spread awareness, educate everyone with such historical, high impact actions, initiatives, policy, rules along with soft measures to mainstream 70 MN people with disabilities in India so it inspires us to participate in upcoming elections and ensure we help Divyangjan to reach to the polling booth and together, we achieve many more transformation goals in coming years.